This is a magnificent burl elm music box. 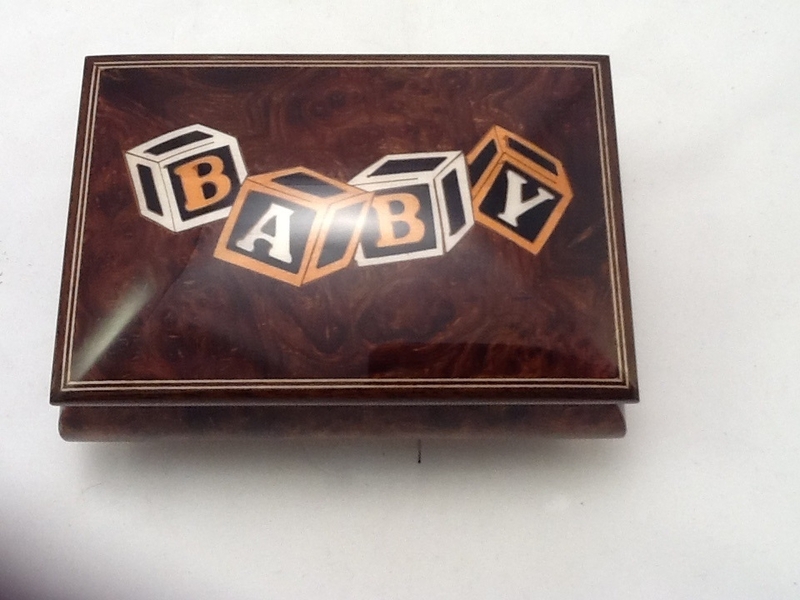 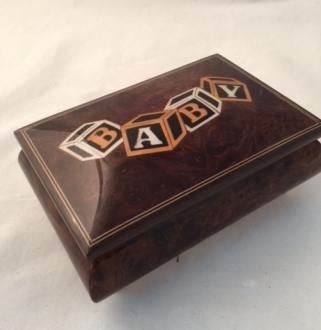 The lid of this Sorrento music box is embellished with the images of blocks of the letters “BABY”. 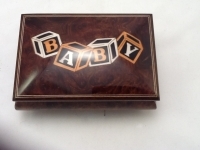 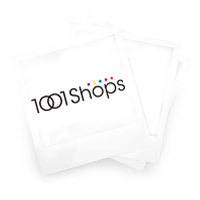 This can be used to keep baby’s jewelry or such trinkets. 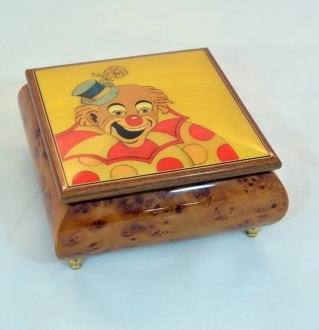 The music box is an elegant burl wood miracle. 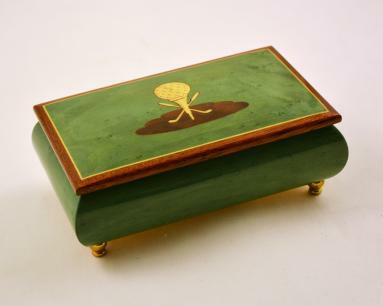 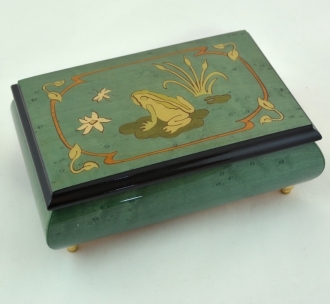 The natural designs on this Italian music box surpass any man-made designs in their perfection. 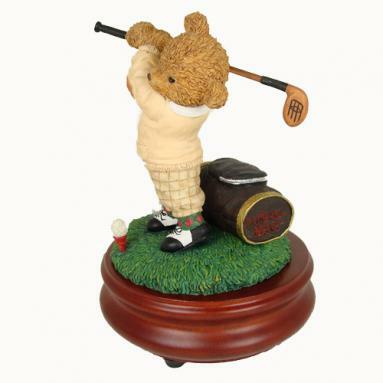 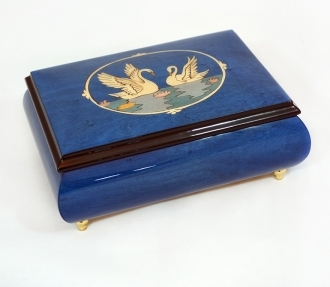 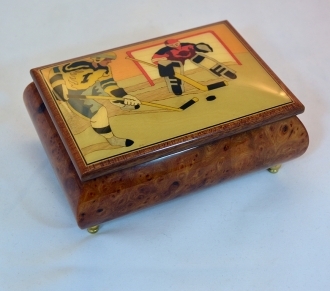 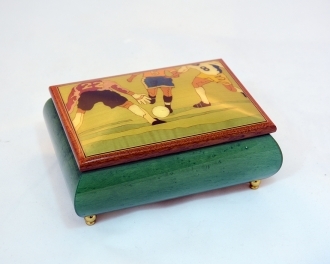 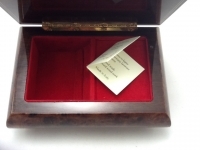 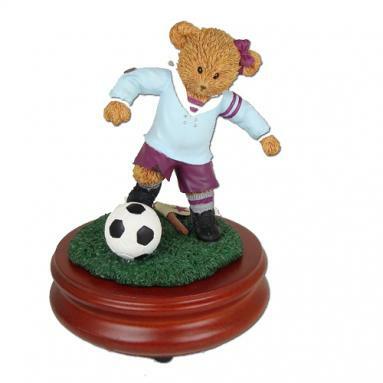 This authentic music box can be used as a good gift article.